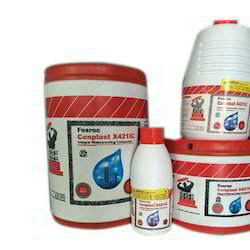 Prominent & Leading Manufacturer from Secunderabad, we offer brush bond rfx fosroc, nitotile epw epoxy tile grout-fosroc, conplast p211m fosroc, nitobond ep-fosroc bonding agents, lokfix anchor grout -fosroc and nitocote sn522 fosroc silicone resin water repellant. Brushbond RFX is an high performance elastomeric cementitious coating used for waterproofing and to protect atmospherically exposed reinforced concrete structures from attack by acid gases, chloride ions, oxygen & water. 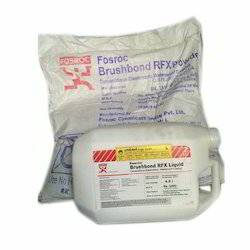 Brushbond RFX is suitable for all types of structures including those in coastal environments. The product can be used on concrete, brick and block work substrates and is equally suitable for new and existing structures. The product is designed to reface and even out variations in concrete and masonry surfaces and bridge shrinkage cracks. It provides a seamless, flexible waterproof coating suitable for water tanks, reservoirs, drainage culverts basements and roofs. The product provides a tough durable water resistant coating which can withstand light pedestrian traffic and also has excellent weather resistance for exterior applications. Nitotile EPW Grout is a 3 component water miscible epoxy resin tile joint filler based on new generation epoxy resin technology supplied in preweighed packs, ready for onsite mixing and use. Conplast P211 disperses the fine particles in the concrete mix, enabling the water content of the concrete to perform more effectively and improving the consistency of the concrete.This produces higher levels of workability for the same water content, allowing benefits such as water reduction and increased strengths to be taken. 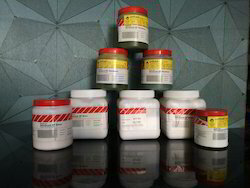 For bonding new cementitious materials to existing cementitious surfaces. For use on horizontal surfaces and on vertical surfaces where mortar or concrete can be supported by formwork. Ideal for extensions and repairs to structural concrete in buildings, loading bays, bridges, roads, bonded or granolithic floor toppings etc. Appx. 2.2 M2 per Kg. Concrete can be used on horizontal/vertical surface where it can be supported by form work. Must for extension work and Concrete repair etc. 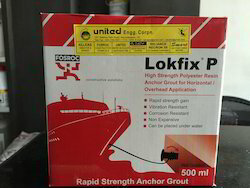 Lokfix are used for high strength corrosion resistant anchoring of bolts and bars from 12 - 51mm diameter into concrete, rock, masonry or brickwork where high speed of installation and early application of load is required. Permanent installation of reinforcement starter bars,foundation bolts, base plates, balustrading, barriers and safety fences, railway tracks, tie-back anchors, reinforcement dowelling abutments, ground anchors for towers, cranes,dock sills..
Polyester resin grout for high strength. Quick setting corrosion resistant anchoring. Of bolts and bars in concrete, rock gate fixing, railing dowels etc. Fosroc offers a comprehensive range of high performance, high quality concrete repair and construction products. In addition, Fosroc offers technical support service to specifiers, end users and contractors, as well as on site technical assistance in locations all over the country. 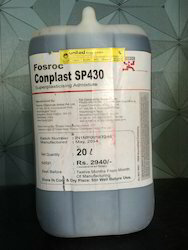 Conplast SP430 is based on Sulphonated Napthalene Polymers and supplied as a brown liquid instantly dispersible in water. Conplast SP430 has been specially formulated to give high water reductions upto 25% without loss of workability or to produce high quality concrete of reduced permeability. Hydroproof is formulated to be mixed with cement on site or simply brush applied over concrete or masonry surfaces to provide an effective waterproof membrane. 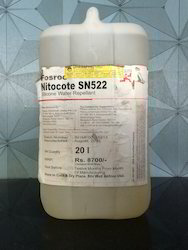 Nitobond SBR is modified styrene butadiene rubber emulsion specially designed for use as a bonding aid and gauging liquid for cementitious systems. It is resistant to hydrolysis and can therefore be used for external applications too. 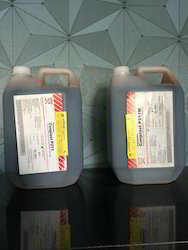 Nitobond AR is a modified acrylic emulsion specially designed for use as a bonding aid and gauging liquid for cementitious systems. It is resistant to hydrolysis and can therefore be used for external applications.Nitobond AR is the recommended primer for the Fosroccementitious repair system. 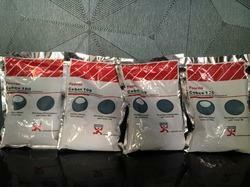 Cebex 100, a plasticised expanding grout admixture is supplied as a powder. The material is a combination of a plasticising agent and a gas producing expansion medium. The plastisicing agent allows the use of a reduced water/cement ratio with consequent increased strengths and durability. The expansive medium counteracts the natural settlementand plastic shrinkage of the grout and aids stability and cohesion. 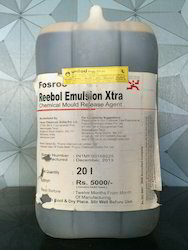 Reebol Emulsion Xtra is supplied as a pale amber liquid which turns white when diluted with water to produce a chemical release agent, combining the outstanding release properties of such materials with the economy of a conventional oil. It reacts with the alkali in the concrete to form a thin water repellent skin on the surface of the mould which enables easy stripping from the hardened concrete. 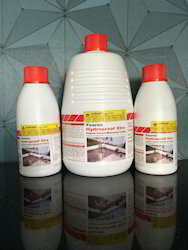 To minimise permeability and increase the waterproofing properties of concrete and cement sand mortars for critical applications like roof slabs and screeds, basements, external plastering, bathroom floors, water tanks, sumps, drains etc..
Factor.” Water proofs by actually improving concrete or mortar, improves workability and reduce water cement ratio by 15%. Economical. 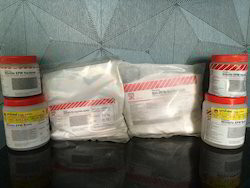 Nitoflor Hardtop / Nitoflor Hardtop Standard are quality controlled, factory blended powder which are ready to use on site. They contain special hardwearing aggregates which have been selected for abrasion and wear resistant properties as well as shape and size. These latter considerations, together with the use of high performance workability admixtures, produces a material which is easyto trowel into the surface of fresh, wet concrete. 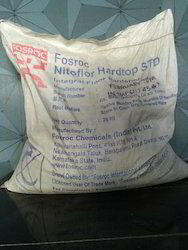 Nitoflor Hardtop / Nitoflor Hardtop Standard cure monolithically to provide a dense, non-porous surface which is extremely hardwearing and abrasion resistant. Monolithic cure ensures that problems normally associated with thin 'granolithic' screeds, viz., shrinkage, cracking, etc., are completely overcome. Being non-metallic, Nitoflor Hardtop / Nitoflor Hardtop Standard provide a non-slip surface which will never rust and disintegrate. 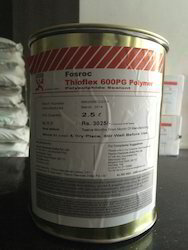 Thioflex 600 is a two part joint sealant based on a liquid polysulphide polymer. It is supplied as a 2.5 L pack containing a base component and curing agent in the correct proportions which, when mixed together, cure to form a tough rubber-like material. 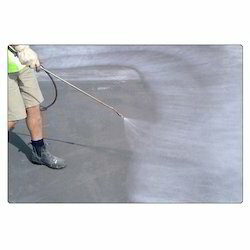 When cured, the sealant exhibits excellent adhesion to most surfaces including concrete, aluminium and stainless steel. Priming is recommended for porous surfaces and for some specific surfaces and applications. Thioflex 600 is available in two grades. 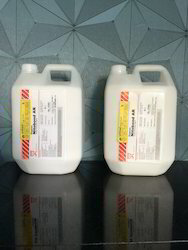 Gun grade for general applications and Pouring grade for joints in horizontal surfaces.Thioflex 600 is particularly recommended for use in high rise buildings and other applications where access for subsequent maintenance will be difficult and the risk of early movement failure must be minimised. 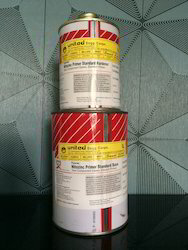 It is also suitable for sealing joints in subways, basements, retaining walls, reservoirs and brickwork joints. Patchroc is supplied as a pre-blended dry powder to which water is added to produce an easily trowellable mortar. Patchroc is a blend of inorganic cements, additives to modify and control the rate of setting and strength gain, with selected hard wearing aggregates. Patchroc does not contain calcium chloride. 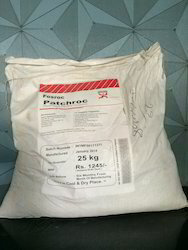 Patchroc has been designed for the patching of small areas of concrete i.e., individual patches requiring not more than 12.6 litre yield per 25kg bag of Patchroc. The blend of cements eliminates shrinkage with theconsequent reduction of stress at the bond line. 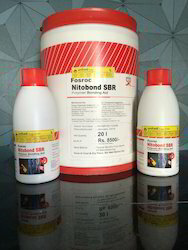 Long lasting adhesion is ensured by the use of Nitobond AR bonding agent. 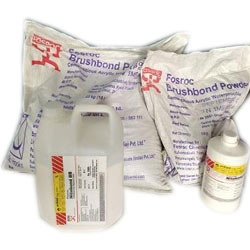 Brushbond is an high performance elastomeric cementitious coating used for waterproofing and to protect atmospherically exposed reinforced concrete structures from attack by acid gases, chloride ions, oxygen & water. Brushbond is suitable for all types of structures including those in coastal environments. Pot Life 30 meters, Approx. Can be used for overhead & underground water tanks, slabs, challas, sagas, roofs, walls, etc. 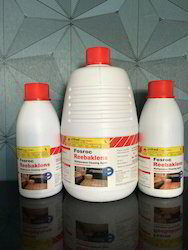 Reebaklens RR cleaning agent is a combination of acid based material, corrosion inhibitors and dispersing agents and is supplied as a clear green solution. Rust removing agent for metal rods. Renderoc RG is supplied as a ready to use blend of dry powders which requires only the site addition of clean water to produce a free-flowing non-shrink repair micro concrete. The material is based on Portland cements, graded aggregates and fillers, and additives which impart controlled expansion characteristics in the plastic state, while minimising water demand. The low water requirement ensures high early strength and long-term durability. For larger repairs, the mixed Renderoc RG may be modified by the addition of 5mm to 12mm clean, graded, saturated surface dry aggregates at site. For exceptionally large repairs, the local Fosroc office shall be consulted. Conbextra GP2 is used for precision grouting where it is essential to withstand static and dynamic loads. Typical applications would be the grouting of base plates of turbines, compressors, boiler feed pumps etc., It can also be used for anchoring a wide range of fixings. These include masts,anchor bolts and fence posts. Heavy duty support beneath load bearing unit especially where high static and dynamic forces occur. Turbo and Diesel Generators, Compressors. Steel rolling beds, steel structures etc. Strength K/gCm2 in 28 days. 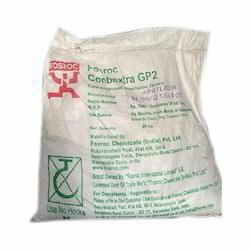 Recommended primer for Fosroc cementitious repair system. For improving and bonding floor toppings, renders and mortars; repair of worn, damaged or spalled concrete; polymer modified floor screeds. 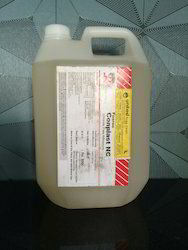 Conplast NC is guaranteed completely free of all forms of chloride and is supplied as a light straw coloured liquid. The main active ingredient is an inorganic formate. 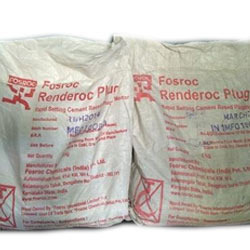 Renderoc Plug is supplied as a ready to use blend of dry powders which requires only the addition of clean water at site to produce a highly consistent, rapid setting mortar which is easy to apply in many difficult conditions. The material is based on a blend of cements, graded aggregates, special fillers and chemical additives which control the rate of set and minimise the risk of thermal cracking. 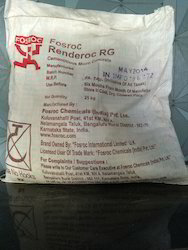 Looking for Fosroc Construction And Waterproofing Chemicals ?